Flipkart-owned fashion e-tailer Myntra posted a revenue of Rs 1,069 crore for FY16, registering 38% year-on-year growth. Losses widened by nearly 10% from Rs 741 crore to Rs 816 crore, according to a report in the Mint newspaper citing regulatory filings. The sales growth of 38% was a sharp fall from the 75% growth it witnessed in the previous two years, the report said, attributing it to Myntra's decision to go app-only in May 2015. The move didn't go down well with shoppers, who potentially migrated to other online shopping platforms. Six months later, Myntra relaunched its website. The filings were made by Myntra Designs Pvt Ltd, which sources products for the Myntra platform. The sales are carried out by Vector E-commerce Pvt. Ltd., which is yet to file its financials. Queries sent to Myntra did not elicit a response at the time of writing this report. 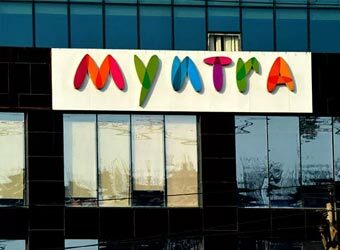 Myntra had earlier said that it expects to hit a revenue run rate of $2 billion, achieve profitability and 60% net promoter score (NPS) by FY18. It continues to focus on its private labels, which contribute close to 23% of its overall business currently. In July this year, Myntra had agreed to acquire its main competitor Jabong from Global Fashion Group for $70 million (Rs 470 crore) in cash. Flipkart Fashion, Myntra and Jabong accounted for nearly a third of gross sales for the e-commerce firm in the September quarter. Myntra CEO Ananth Narayanan had told TechCircle in August that both Myntra and Jabong would run as separate entities but leverage each other's strengths, wherever possible. Flipkart's biggest rival Amazon has also renewed its focus on the fashion sector. Earlier this month, the e-commerce giant launched its second in-house private fashion label, ethnic womenswear brand Myx. Prior to that, it had launched in-house private fashion label Symbol for men, in September. Meanwhile, Snapdeal chief executive Kunal Bahl has also said that the company would invest $100 million, the money saved by not buying Jabong, within a year to boost fashion retailing.